portions and sends data directly into the app. easier and far less tedious. exactly we are putting into our bodies. enhanced though future App updates. 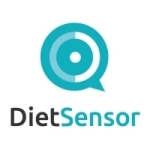 DietSensor, Inc. in the United States and in 39 other countries.